Time has become a shortage. There is so much to do that we don’t realize when it passes by. Customers feel the same way. With less time on their hands, they want to quickly get done with transactions. Extensive and involved transactions take a long time because either a consumer doesn’t feel secure or their queries never receive a solution. That becomes less of a problem with each passing day with the evolution in technology the moment a customer faces an issue, the race against time begins and a company has to act fast and efficiently in order to retain that customer. Co-browsing in customer service – Just in time engagement. With the introduction of co-browsing technology in the world of online customer service, consumers will receive an accurate and prompt response from the CSR. How does this work? This application essentially works on minimizing the gap between the consumer and the CSR, thus leading towards personal engagement and direct contact between the two. 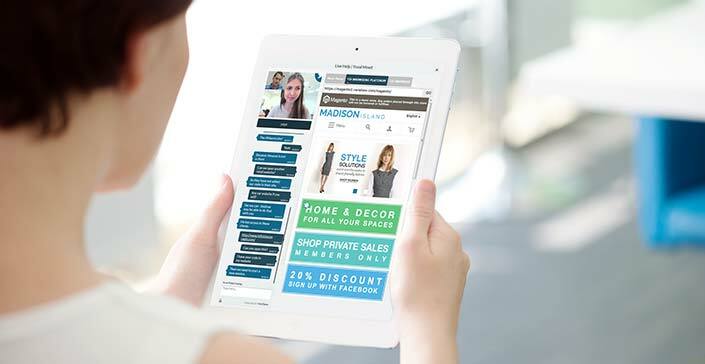 According to “Co – Browsing in customer service: Be on the same page as your customers”, co-browsing is a super tool for resolving technical customer issues in real time; it allows contact center agents to see and interact with their customer’s screen – be it that of their computer, smartphone or tablet. Increase in first – call resolution: A business can improve accuracy by seeing the screen from the consumer’s eye. This ensures complete resolution of the issue by the CSR and the consumer together. Reduction in handling time: A lot of time is wasted in trying to figure out what the customer is looking for and where help is needed. Live Text Chat and Video Chat are more efficient when the consumer and agent are looking at the same thing. Prevent site abandonment: Invitations to transact together drives customer engagement, providing the CSR has the ability to answer queries and offer more to close more sales. Conversion becomes easy if a customer feels actively engaged. Gain customer loyalty: C -browsing allows the consumers to receive help quickly, therefore they feel safe and secure while engaged in a transaction. It creates a differentiated customer service experience. With the help of Co-browsing application, Extensive and involved transactions can be made smoother and simpler. The CSR can literally look at whatever the consumers are browsing and guide them through complicated payment processes and forms, step by step. The consumers feel prioritized because of the personal attention they receive from the CSR and are also willing to share important personal information with them. The purpose of the Co-browsing technology is based on integrating both the consumer and the service center in one place. This helps a business in retaining more consumers by solving their queries whenever they need and making them feel satisfied.